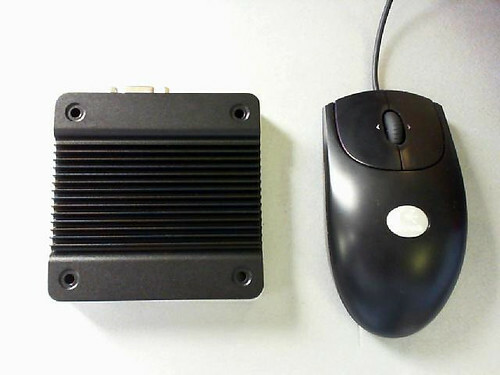 The Official DMP Power Adapter for Ebox 3350 (5V 2A miniUSB Adapter) is also now available from RoboSavvy. While the 3350 can be powered by a good Smartphone charger (if it's capable of providing a stable 5V and 2A) we encourage customers to use the Official Adapter. We've received our first units of eBox 3350MX and the first thing we've done was tear it apart. 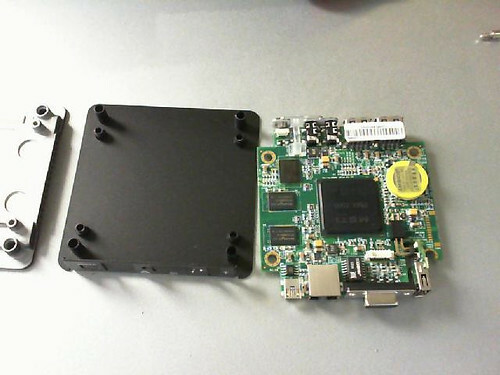 The eBox 3350MX is a small, compact PC from DMP (the makers of Roboard) based on the same Vortex86 Processor used on the Roboard but lacks the Robotics features. It is available on our online store here http://robosavvy.com/store/product_info ... ts_id/1704 and we're happy to say the first shipment was all sold out even before it arrived at our warehouse! The eBox 3350 came in a bit of a large package for such a small item. The compact PC ships as "PC only", meaning it comes with no cables or power adapters. The PC is powered via a mini USB port so a cell phone charger should be able to turn it on. The specs say that it consumes 2 Amps @ 5V but we've successfully booted it with a USB charger rated 1Amp @ 5V. I assume the extra power is required to power the peripherals on the 3 USB ports. Compared to the Roboard this mini PC feels heavier (and also very robust). 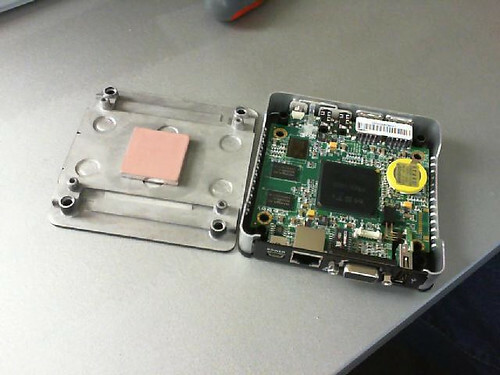 We're looking at 40grs of a Roboard (a little more with cables and miniPCI VGA board) compared to 270grs of a board plus what looks like an injection molded metal casing. We begin by removing the 4 screws at the bottom. The 4 holes on the extremities are VESA mounting holes allowing you to attach the mini PC directly to the back of your LCD. You can then remove the top cover. Notice the thermal paste on the cover: the top cover doubles as heatsink. It also looks like an injection molded part. After removing the the surrounding metal plate you have the PC exposed. 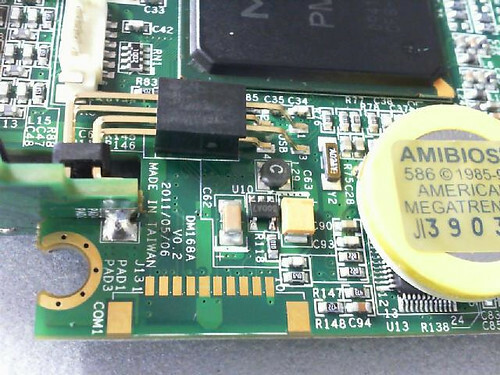 Notice the marking PMX-1000 on the processor? That's a rebranding of the Vortex86MX. The last thing left to remove are the 2 screws around the VGA connector. These secure the board to the bottom chassis. The board is designed to fit into place so after removing all the screws you still need to lift it gently and pull it back to remove it. On the back you can see the SD card connector. This is normal SD (not microSD) and serves as the computer HDD (it shows up as a regular HDD to Windows or Linux). 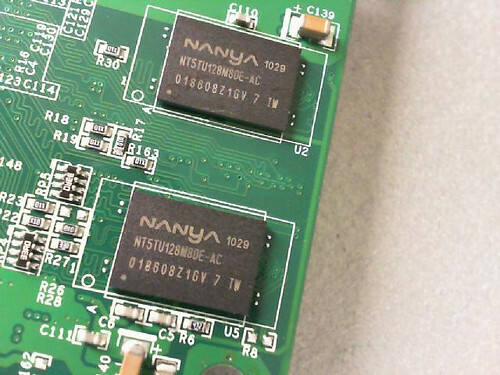 Like the Roboard, the speed of the SD card is critically important to the overall performance of the system. We recommend Class 6 or higher and cards up to 32Gb are supported. Removing the casing reveals a PCB that is about the same size as the case. In terms of length, you can see it is still nearly 95mm, mostly because of the VGA connector that is standing out. The width reduces by a bit but not much either. The biggest improvement when removing the case is the weight. 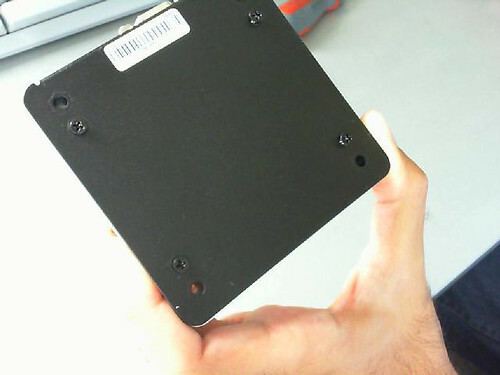 The case is all metal and is very heavy compared to the weight of the PCB. We haven't precisely weighed it but we'd say that out of the 270grs that the unit weighs, nearly 200grs are casing. One important thing to note is that if you remove the case, you need to add a heatsink to the processor (see the one used on the Roboard for example). Through holes are also in place on the PCB so you have a way to secure the board firmly on your project without the case. In addition to the fair amount of IO exposed considering the box size: VGA, LAN, 3x USB ports and Sound In/Out, we also found 2 internal COMM ports which are hidden/un-announced. They are not directly hackable though as you do need to do some SMD if you want to take advantage of them. 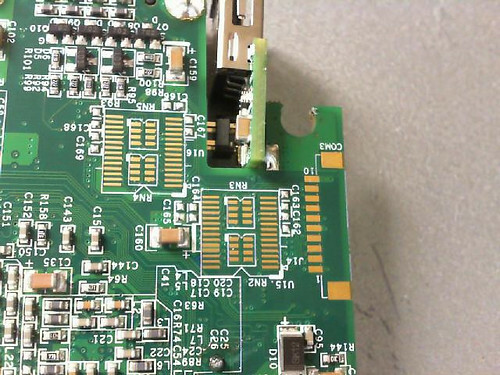 As you can see there are 2 solder pads for 2 COMM port connectors. You also need to pay close attention to the SMD locations to the left of COMM 2. These locations also need to be populated with some MAX chip or other protection as they bridge the processor pins to the COM connectors. Without them being populated there is no signal on the COMM connectors. It would be nice if we could manage to get some batch of eBoxes with these SMDs in place but the CompactPC division that manufactures these small PCs doesn't seem receptive to any special request. Anyhow with 3 USB ports you should be more than good to go: you can take a webcam, a WiFi dongle and USB2Dynamixel or USB2Serial to talk to the servos or the controller. Last edited by PedroR on Mon Jul 30, 2012 10:09 am, edited 3 times in total. The Xcore website throws some more information into the mix which adds to a bit of a confusion: it refers to the processor as an i586. 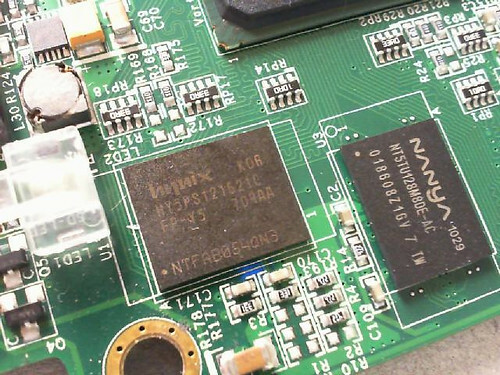 This is the first time we've seen this mentioned as previous incarnations of the Vortex86 chip (ie Vortex86DX used on Roboard) are reffered to as processor with the instruction set of an i486 with FPU and 6 stage pipeline. This means that software compiled for i686 will not run. This includes Ubuntu (from 10.10 onwards) as it relies on the CMOV instruction. 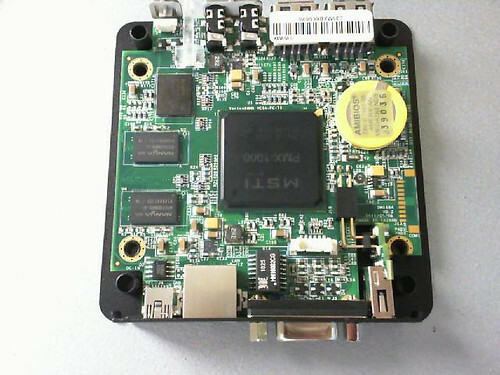 We're currently tryingt o get the latest drivers and information for reviewing the installation process of Linux on the eBox 3350MX. If you want to do it yourself you can try a default distro or instead, use the Linux kernel for the Roboard 110. The installations instructions for Linux or XP on the Roboard 110 should work on the eBox 3350. Last edited by PedroR on Wed Jun 29, 2011 5:16 pm, edited 2 times in total. The "Hynix" chip is the GPU RAM (64 MB). In the next Vortex86 CPU version (Vortex86MX+), there is 1GB RAM and GPU RAM is shared with the main RAM. In Vortex86MX there is 512MB main RAM and separate 64MB GPU RAM. I think the reason for that is because GPU needs 32-bit RAM access while Vortex86MX only supports 16-bit. This was fixed in Vortex86MX+ where both main RAM and GPU RAM are 32-bit so they can be shared. Vortex86MX = (Vortex86DX) + (built-in GPU) + (HD Audio) - (ISA support). You are right. 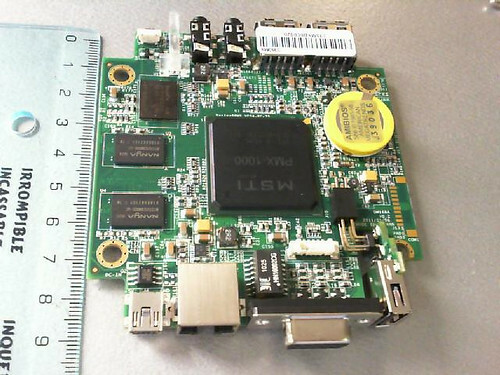 eBox 3350MX eats only 5V 500mA. The extra 1.5A in its spec is reserved for USB peripherals. Last edited by roboard on Sat Jul 02, 2011 4:04 pm, edited 3 times in total. 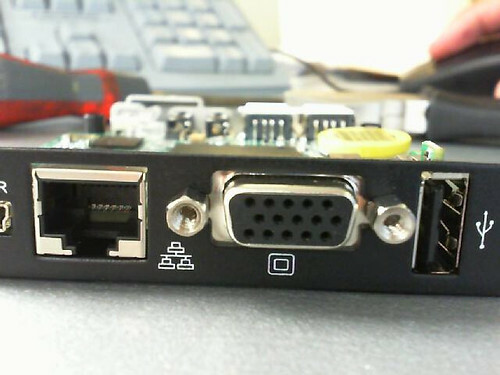 Do note, as someone mentioned on our Facebook product page that if you connect USB clients to the eBox, you do need a full 2A 5V power supply. Otherwise symptoms like no VGA or no boot may reveal that power supply to the unit is insufficient. 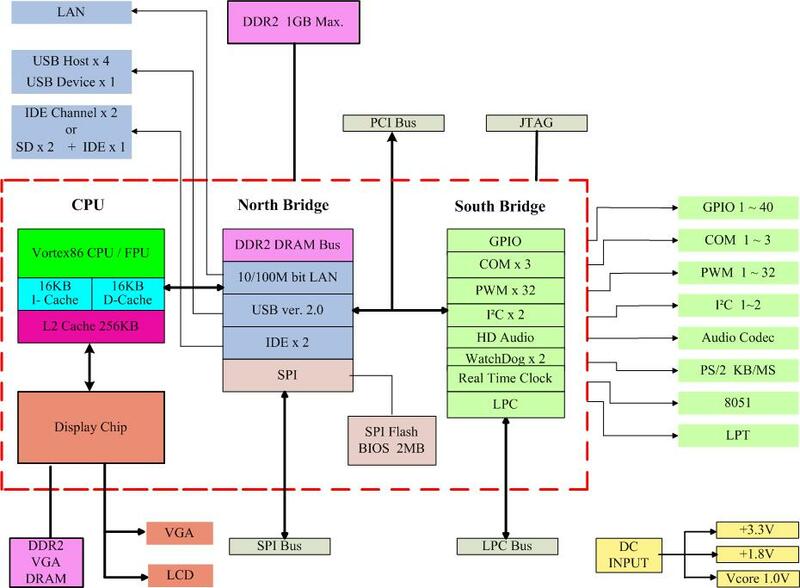 The Vortex86MX diagram shows that it can have 1 USB port that acts as client (and 4 USB ports as host). 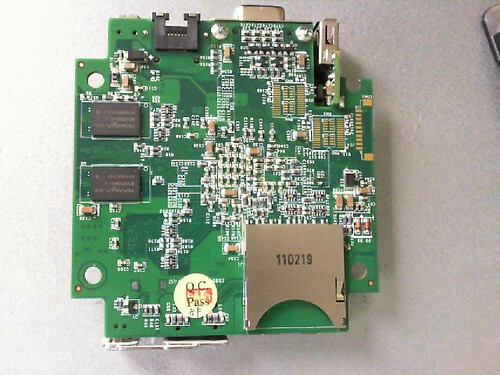 Can the POWER port of the eBox 3350 behave as a USB client? Since it's a USB mini (ie client) connector it seems to suggest it may be able to emulate such a feature. If so, is there any sample code to make behave like a Serial Port for example? you need to update eBox 3350's BIOS for using the USB device port. And only an incomplete Linux driver (with source code) exists to support it. You may email to soc@dmp.com.tw for requiring that driver. I wanted to share an update on what we've done so far with the eBox 3350. To begin we've been experimenting with Ubuntu. The eBox 3350 processor (Vortex86MX) is recognized as an i586 meaning that the latest Ubuntu version that is supported is 10.04 LTS (for i386). All later versions of Ubuntu are optimized for i686 as they make use of the CMOV instruction which is not present on the Vortex86MX and therefore won't work. We've downloaded Ubuntu 10.04 LTS (LTS stands for Long Term Support which means system and apps will be maintained for a long time) and burned it onto a CD. 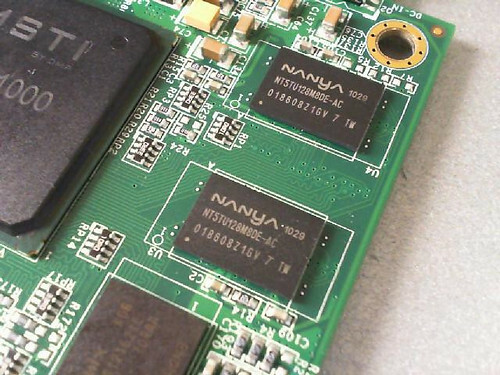 Next inserted the SD card (a fast SD card makes a world of difference in performance of the eBox 3350. We're using - and strongly recommend - a Class 10 card. The eBox supports cards up to 32 Gb). 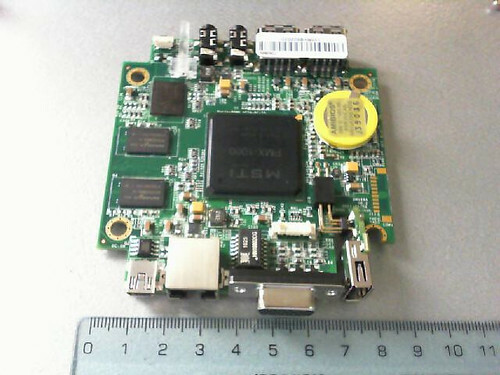 Note that the eBox uses full size SD cards (not MicroSD like the roboard). Make sure you use a full size SD and stay away of MicroSD -> Full SD adapters! We connected all USB peripherals (CD Rom, Keyboard and mouse) and turned it on. - set the CD ROM as the first boot device. There is a lot of (sometimes conflicting) information spread around DMP websites and a DMP FTP server. Some of the information you can find for eBox 33XX is actually wrong for the 3350 (it was written with the 3310A in mind not the 3350MX) . The installation process is straightforward. Just boot from CD and follow the installation steps. - Choose to manually partition the HDD. - Created a main partition for the OS (with mount point /) with filesystem ext3 (we first tried ext4 and it didn't work correctly; not sure if ext4 was to blame or the cheap SD card with microSD to SD adapter but further attempts using ext3 worked fine so we stayed with ext3). All other procedures were essentially following the standard installation routine (setting keyboard layout, locale settings, machine name, ...) and waited for setup to finish. On first boot, you'll get a fully functional desktop but you won't have Network access. This is because you're using the default kernel of Ubuntu which doesn't include the drivers for the Ethernet port built onto the SoC. To fix this (and get maximum performance) you need to install a custom kernel from DMP. (FYI Vortex86DX is Roboard; Vortex86MX is eBox 3350 and Vortex86MX+ is eBox 3310MX, currently the fastest mini PCs from DMP). This image is part of a more extensive and explanatory document mirrored here http://robosavvy.com/RoboSavvyPages/eBo ... rtList.htm . It lists all supported Linux installations on each processor and recommended Kernel versions as well as tips for installation and kernel and driver locations. So for Ubuntu 10.04, DMP recommends installing DMP kernel 2.6.34.1 but we can tell you from experience that the file "Linux-image-2.6.30-vortex86mx_1.0_i386.deb (no APM)" WON'T work properly on Ubuntu 10.04 (believe us, we've tried and got into a lot of trouble). We have tested it and it runs well with Ubuntu 10.04. It includes drivers for the HD Audio and LAN and has the added bonus of including the drivers for Webcams. The kernel comes as a DEB package which is very straightforward to install (see the installation instructions on the document). with a distillation and compilation of the very sparse information that exists about Linux installation on eBox. It contains the essential and most up to date information for using the eBox 3350 at the time of writing this post. The docs in there also explain how to get the VGA drivers for the X Window system working. The drivers seem to be at an early stage though as the version is still 0.0.9. We haven't gotten as far as installing DMP's VGA drivers for X but the Ubuntu instalaltion seems to work well. X works fine with the default driver but you do notice the UI is not very fluid. We've hit a few bumps with our SD card and we believe it's because it is a cheap one and it's a MicroSD with an adaptor to full size SD. get a good quality, high speed SD card (class 6 or 10 (even better) ) that is a full size SD (i.e. stay away from MicroSD to SD adapters!) as this will impact performance and your overall experience a lot. Class 10 cards give you about 20 Mb/s but there are even faster SD cards that can do up to 45 Mb/s which are usually employed in HD video cameras (although these are still a bit expensive at the moment). A good SD card makes a world of difference. The eBox feels much faster and responsive with a good quality, fast SD card. We'll keep posting as we progress. Last edited by PedroR on Mon Jul 30, 2012 10:19 am, edited 5 times in total. I am now posting using the eBox 3350 running Ubuntu 10.04 (while I am compiling OpenCV at the same time). - Ubuntu 10.04 install goes from start to finish without any glitches or need for tweaks. - Upon first boot everything will work except Ethernet and Sound (for this you need toinstall the DMP kernel). -We installed the DMP kernel from a USB pen drive (it's a DEB package). You run 3 commands, reboot and you have everythng working. Upon boot it throws some disturbing messages (like "unable to mount /dev") but if you ignore it it will continue and boot fine. The user experience is OK. The graphical UI works (it's not completely fluid but works) and you can get things done in a nice, comfortable environment. I can see and feel DMP has come a long way since the time of Roboard 100 first release (that was the first and only time I personally Beta tested DMP products). The eBox feels more mature and a lot of the "minor but annoying" issues that made installation difficult have all been sorted out which feels very nice. (I believe most of these issues were already sorted out in Roboard 110 as well). We've also ordered a couple of Transcend 8Gb Class 10 cards to see how they impact performance and to install Windows XP and Linux on them. In the end it'll be a matter of inserting the SD card we want to boot the OS we choose; (this reminds me of the days of my Gameboy and exchanging game cartridges to play different things ). Great stuff with Ubuntu - I followed your example and have the same up and running here. I had a problem with not booting after the initial installation so I couldn't change the kernel as described, but booting from the live CD and chrooting worked. I followed the instructions here http://ubuntuforums.org/showthread.php?t=1581099 for that. I had to use the 'alternate' ubuntu cd install as the main one failed, so maybe this is why I got a different result. I have had a 32GB class 10 card from the start, and Ubuntu is definitely usable. I tried XP first, and it installs, but is a total dog - pretty much useless on this side. I wanted to try voice recognition (MS SAPI) but I don't think that's going to be doable with XP (let alone image recognition). I'm going to try Sphynx voice recognition now on Ubuntu, and drive a couple of arduinos from a java program It's for an autonomous bot with a bunch of sensors, so will let you know if it works. Thanks again - I would never have been able to get 'nix running on the box without your help. I wanted to ask you one thing: which Filesystem did you use during the installation? We had issues with Ubuntu not booting using "ext4" so we used "ext3" and with ext3 everything worked without any issue (it even booted with the default kernel). 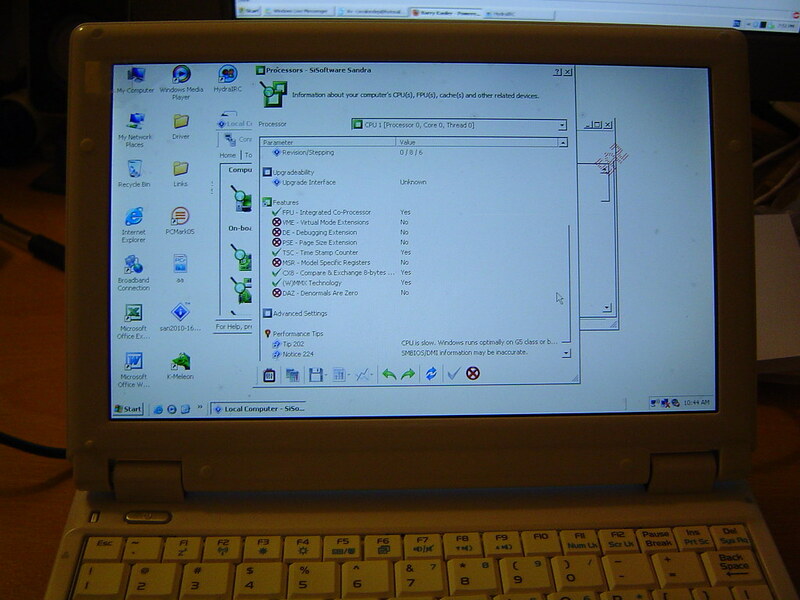 With regards to Windows XP we are also preparing a tutorial on how to use nLite to strip out many of the superfluous Windows XP components (visual styles, system restore, etc.) so that we can optimize XP to run on the eBox. We'll be posting as soon as we have made some progress on that (we're currently waiting for more SD cards). Bought another class 10 card - 16GB. The original (currently running Ubuntu) was also 10, but this is a better brand (Diawa I think - don't want to unplug it just now) whereas the other one I hadn't heard of. Standard XP install - set BIOS to optimised defaults, formatted the card as NTFS. Things running better but still slowly, but a huge improvement when you start tweaking the XP settings. Go to Control Panel, System, Properties, Advanced, Performance, and select 'Adjust for Best Performance'. This switches off all of the fancy graphics stuff and makes a big difference here. Next (and this was the big one), select the Advanced tab in the same window, and click the Virtual Memory 'Change' button. Set both initial and Maximum size to the maximum size setting - on mine it was 1532MB, so you get twice the page file size. Didn't expermient any more, with other sizes (except switching paging off - don't bother), but I'm now able to run RoboRealm and the box is doing live motion tracking with a USB webcam! Next thing is to try turning off some of the services that aren't needed - you can do this by running 'msconfig' from a DOS window and using the 'services' tab, but I though I'd wait to see how you get on with nLite before randomly trying to remove services for now... How you getting on? The process with eBox is currently "on hold" as we're waiting for the SD cards to arrive. - Setting the page File size to a FIXED SIZE - I think this si what you've described as well by setting the Initial Size and Maximum size to the same value. This ensures the pagefile size is locked to a specific area of the SD card. It may be able to help you adjust additional settings to conserve memory including disabling Window animation and menu animation. This tool shows everything that is loaded in your system: the services, the software that autostarts and all other DLLs that "secretly" attach to Explroer and other standard windows sftware and that basically slow Windows down. Autoruns is a very powerful tool so I reocmmend that you be careful when disabling items. It does let you see everything that is running and all Executables, Services and DLLs that are loading on your system automatically. On the Autoruns Website you'll also find another tool, called Process Explorer. It is also worth downloading it. It is a Task Manager on steroids and will let you see running processes, system load, etc. in real time.